AUSTRALIA will provide extra funding for newly prioritised projects in Papua New Guinea - on top of the existing $507 million aid program - under Kevin Rudd's asylum-seeker deal. 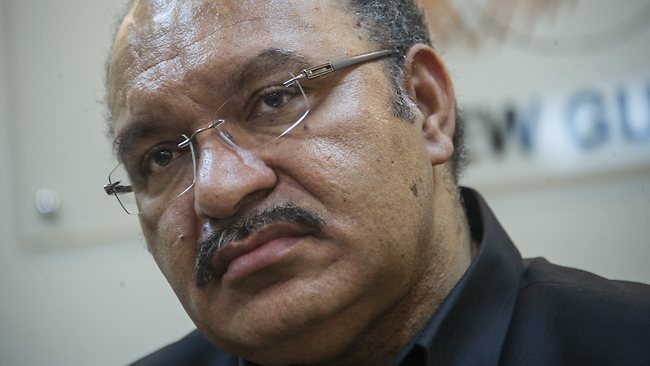 PNG Prime Minister Peter O'Neill told The Australian these new projects - such as the rebuilding of the Lae hospital, whose cost has been estimated at $300m to $600m - will be co-funded on a 50-50 basis between Australia and PNG, and the costs will be met over a number of years. The present aid program would also be realigned to ensure its priorities met those of the PNG government. Mr O'Neill said talk of "blank cheques" amounted to a misrepresentation. "Commentators have been saying we are trying to manage the aid program ourselves; that's far from the truth," the Prime Minister said. "It's a matter of funding projects that we feel are of the greatest importance for us, in education, health, infrastructure, law and order." The management of the projects would remain in the hands of AusAID.One of the reasons for the realignment, he said, was that "we have seen projects implemented by (AusAID's) own direct interventions without listening to what our government is trying to do", leading to double-ups. "We are trying now to work together and gain the best outcomes for the dollar," he said. Already, officials from both sides were on the ground starting to work on the aid programs. "Out of these official deliberations we will get the costings, and shall meet to put in place funding arrangements," he said. "We don't expect it to happen overnight." As a result, PNG would receive more aid dollars. "Some people in the aid program are oversensitive to issues such as that," he said. Mr O'Neill said the enhanced aid project would also be on top of Australia's responsibility in paying for the costs of the asylum-seekers sent to PNG. "We know those coming out of Australia will be the responsibility of the Australian government, to maintain their wellbeing in the country during that period, until they become a citizen or not," he said. "We have our own problems, and we have made it very clear to the Australian government that we don't have the funds to manage additional people in the country." Mr O'Neill said "a concerted effort" was under way to build permanent structures to house the asylum-seekers. He said that he did not believe the numbers in the Manus centre would reach the 3000 long-range capacity planned by the Rudd government. And he did not expect that any other centres would need to be established elsewhere in PNG.